Securing data, whether at rest or in transit, has been a major concern for IT managers because of increasing of security risks originating both in house and outside. One way for organizations to increase security is by using cryptography algorithms to encrypt data. The RSA algorithm is a popular one for encryption key exchange, used during SSL sessions, and for digital signatures that provide data integrity, non-repudiation, and authentication. Encryption keys are private and must be associated with a person or organization. Digital certificates bind the identity of the certificate holder to an encryption key. Digital certificates play an important role in securing various types of business data and processes. They are used to secure communications and mail, in digital signatures and code signing, in client authentication, and more. Organizations can purchase certificates from public certification authorities or issue them from an internal certificate authority (internal PKI). All certificates should be treated as an essential assets and managed similarly to other assets. 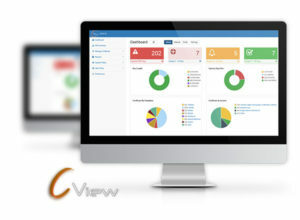 We advice to protects your essential assets with C-View a digital certificates life cycle management solution by Secure-ly.